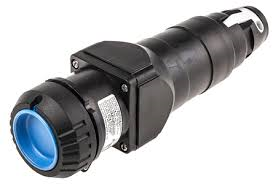 Plugs and receptacles for industrial areas with high impact - and ingress protection for superior and reliable connections.The explosion-protected light metal plug and receptacle devices can be used in the areas of Zone 1 and Zone 2 at no risk of explosion. Extremely harsh conditions of use in the hazardous area require the devices to have highest mechanical strength. The explosion protected CEAG plug and socket devices can be used to supply the appropriate energy to portable electrical equipment in these harsh conditions.